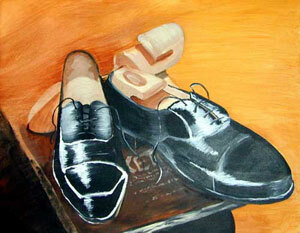 Unfinished painting of the shoes I purchased for my wedding. I can count the number of times I've worn them since on one hand. Class assignment. I unfortunately could only spend about an hour on this painting. I intend to leave it unfinished.